Is dog grooming your dream career? You’re not alone. Dog grooming is becoming one of the hottest careers for animal lovers everywhere. But before you can start making those furry people beautiful, you need to find a grooming school so you can learn all the right techniques for bathing, brushing, clipping, and beautifying. The following guide will help you determine how to find the dog grooming school that’s perfect for you. There are several different types of grooming schools, and to find one that’s your perfect fit, you’ll want to consider your situation, your budget, the type of grooming you’d like to do, and whether you want to have your own grooming studio or work for someone else. The first type is a conventional grooming school. These are a little like going to college for dog groomers. 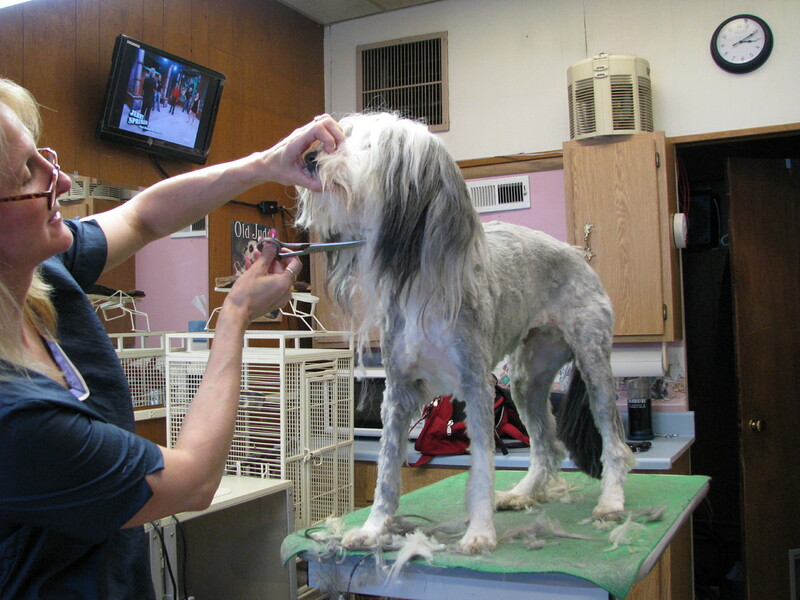 You go to school every day and experience a combination of classroom lectures and hands-on dog grooming instruction. This is the most expensive option, typically several thousand dollars, but if you have the money, it is a great way to get plenty of experience and a dog grooming certification. However, one of the major drawbacks to this option (besides the expense) is that you must find a dog grooming school near where you live. Especially if you live in a small town or rural area, there may not be a dog grooming school nearby, so you’ll be stuck with either a long commute or an expensive relocation. Another con to a conventional grooming school is that you pay them, while providing them free slave labor as you groom dogs during your training. Unfortunately, the clients you serve during your tenure at a conventional grooming school do nothing to help you build up your own clientele as a dog groomer, or to secure a job once you graduate. A different way to learn to groom is by apprenticing with a local groomer. If you can find a local groomer who will take you on, working as a grooming assistant can be a fantastic way to learn all the essentials of grooming, while also getting a little bit of experience in the business side of running a grooming operation or dog spa. And if you work hard and show aptitude, you have a good chance of eventually being hired on. The pros and cons of this option are obviously very dependent on the personality and policies of the groomer you choose. Make sure you get along well, and that expectations are clear on both sides. Another on-the-job option is a training program at PetSmart or a similar chain. Typically, you must work at the store for several months before being offered the chance to do a 1-month grooming program, after which you are locked into a 2-year contract working for PetSmart, and must sign a non-compete agreement promising not to work as a groomer anywhere else in the area. This option sounds great in theory, since they pay you to learn, but make sure you do your homework before deciding this type of training program is for you. Not everyone wants to spend two years working at PetSmart, and many students have found that their PetSmart education left them unprepared. Even more serious, PetSmart includes a non-compete clause for groomers who go through their training, prohibiting graduates from working for a groomer anywhere within a ten mile radius of the store. Several new grooming operations have been sued by PetSmart because they were founded by or employed people who once worked for PetSmart. If you don’t have the budget for a conventional grooming school, but can’t find a local groomer to apprentice with and want to avoid the hazards of a PetSmart job training program, an online grooming school might be the best fit for you. Online schools offer the convenience of learning out of your own home, at your own pace. You can keep your day job while you work on your grooming certification, and build up a grooming business on the side or find a job with a local groomer without worrying about a non-compete. If you choose an online grooming school, be sure to evaluate it for quality. A good online grooming school will be academically rigorous, but also provide for hands-on training. It will help you with the business aspects of setting up a dog grooming studio, mobile grooming unit, or doggie spa by teaching you how to market your business, attract new clients, and set up a website. You might also want to consider an online grooming school that offers additional training in other dog services like dog photography, behavioral counseling, dog walking, or doggie daycare, so that you can maximize your earning potential and help your canine clients in a variety of ways. The Canine Club Academy offers training in dog grooming and other dog services, as well as a complete business mentoring program that helps you set up your dog grooming studio. Check out our Certification Course here. And whatever type of dog grooming school you choose, good luck in your journey! 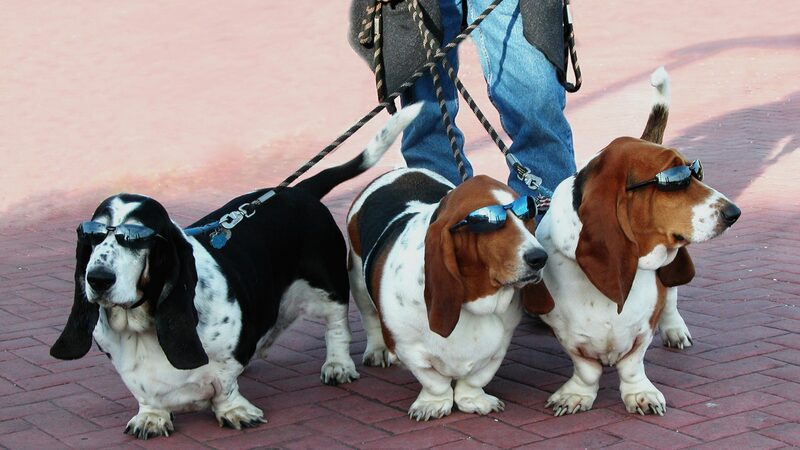 ⟵Dog Boarding Business For Sale!